Tricyrtis 'Blue Wonder'. 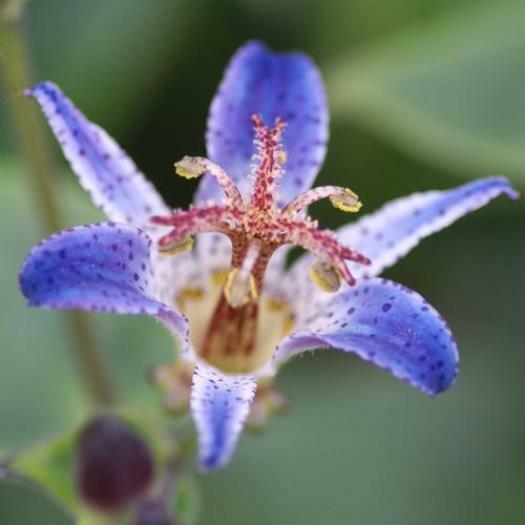 This newer hybrid (cross of Tricyrtis hirta and Tricyrtis formosana) grows typical upright stems. What is not so typical about 'Blue Wonder' is its magical purple-blue flowers with dark blue spots. An excellent woodland or shade garden plant that offers fresh flowers late in the season when most other plants are done blooming. A slow spreading habit.